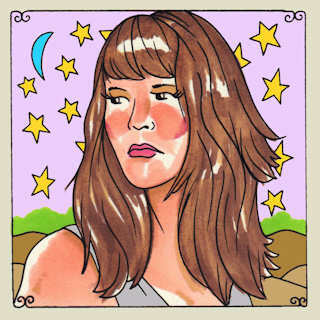 Our Daytrotter session was released at daytrotter.com this morning, just in time for my 30th birthday. I’m thrilled – it sounds great thanks to the brilliant engineering of Mike Gentry and the beats, bass and backups of Henri Benard, Andrew Bates and Art Heffron. Artwork by Johnnie Cluney. ← How to be Human? © 2019 Lara Ruggles Music. All Rights Reserved.